EarthBound is full of cool-looking text that was all hand-drawn just for the game. For almost a decade only one or two have ever been made into fonts usable on computers. But now a bunch of awesome EarthBound fans have gotten together to recreate pixel-perfect TrueType fonts of text used throughout the game (and beyond)! You can download a zip file with all the fonts here. Installing them is usually a simple process but if you’ve never done it before or are having trouble, hopefully some kind commenters can help out. Anyway, let’s take a look at the fonts! Apple Kid is the main EarthBound font. There’ve been versions of this in the past, but the letters often had odd spacing or the letters didn’t scale well at bigger sizes. This one looks great and authentic at all sorts of sizes. This is the Mr. Saturn font! Again, there’ve been versions in the past, and although they were accurate they didn’t scale to different sizes well. This one looks perfect at different sizes. A lot of people don’t even notice this font in the game, but there’s a small 8×8 font used in various places in the game, most notably the character names at the top of the status screens. This font is based on the weird and wacky letters used on buildings throughout the game. It’s probably called this because Onett is the first place you see these letters. I believe this font is based on the signs in Twoson. This font comes from the text displayed on the Monotoli Building in Fourside and probably other places. This font is based off of the dummied-out HAL debug menu in EarthBound, the one with Kirby as the menu cursor. Now this one is interesting. It’s a recreation of the font that’s displayed in Lumine Hall. Remember when Ness’s thoughts are projected on the wall? That’s what this is from. This is based on the font used during the ending credits. The lowercase letters act as the smaller text and the uppercase letters act as the bigger text. This font is based off of the EarthBound Zero font. It’s different fron the real EB0 font in that the letters don’t have a fixed width. This font is also a recreation of the EarthBound Zero font. The main difference from the one above is that the letters here ARE fixed-width, which makes it exactly like the real EB0’s font. I imagine there are still some fonts missing (like the font used for name boxes in battle) but if you’re an EarthBound fan, this should be more than enough to satisfy your EarthBound font hunger. If not, seek help immediately from a blue-haired healer. Side-effects include mushroom on the head and excessive EarthBoundness. 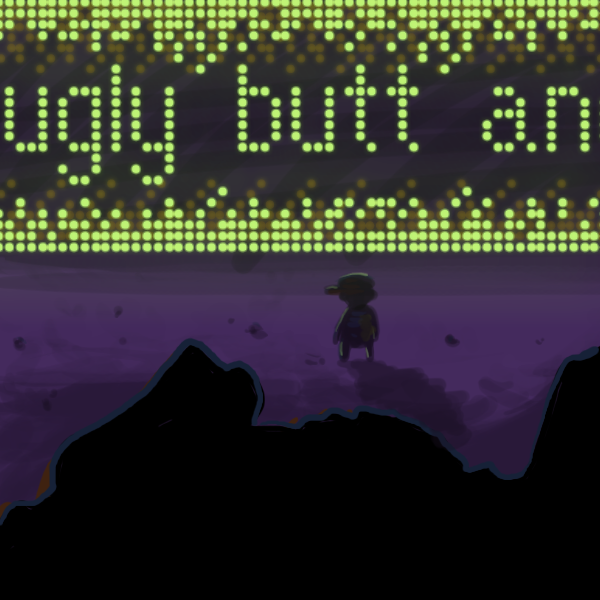 77 Comments to Ultimate EarthBound Font Pack! That’s very Cool, alriiight. You even have the Lumine Hall Font! 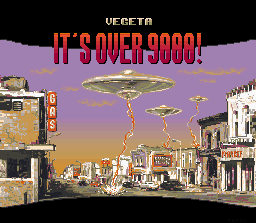 Oh, and there’s gonna be an EB Title Screen Font someday? These typefaces look quite good, and I appreciate all the hard work that must have gone into making them pixel-perfect. I especially like Lumine Hall. I can see how an Earthbound fan would get a lot of use out of a typeface that mimic’s the game’s text pixel-for-pixel at any size, but I think it would be even more interesting to create a typeface in the standard vector format so that it doesn’t look pixelated at large sizes, but which corresponds to the Earthbound typeface pixel-for-pixel when scaled down to that size. I imagine that creating such a typeface would require even more work than went into the ones in this pack, but wouldn’t it be neat? Ohhh… this is awesome. I’ve had two of them, yes, andI will definitely be using distributing these when PK Election starts. These fonts are pretty cool, though I wish the gas station font used the numbers in the lower case. Oh man, that EB0 font would have been so useful to have when I was constructing custom profiles by copy-pasting every letter from a screenshot I took of the game’s naming screen. Oh, and for some reason the town fonts (Onett, Twoson, Fourside) aren’t working for me, but all of the other ones are (they just show up in a plain-text font that looks kind of like Lucida Console). Is anyone else having this problem? You don’t happen to have (or know where to get) Mother 3 fonts, do you? Actually I guess you would have it since you had to work it into the translation, right? Or are they just the same fonts? I guess they don’t look all that different. We took the font data straight out of EarthBound and stuck them into Mother 3, so there’s no real difference. Nice, I happened to be in the market for a few good fonts. I don’t know if this is just a problem with my Mac or OpenOffice or something, but at larger sizes you can start to see a little space between the pixels on some of them. I’ll post up a picture in a bit if you don’t know what’s up. Other than that, awesome fonts! You should make a font for the Earthbound Central logo. It’s trippy! This is awesome. I never expected someone to rip all these fonts from the game. This is very useful, thank you! I know I’ve seen both versions of “Curtain Call” in other Nintendo games before. Off the top of my head, I think Super Metroid used it. Help, I downloaded the font pack and don’t know what to do now does anyone know how I get this to work with microsoft word 2003 since thats what I have. If those instructions are too complicated, there are many results on Google that should be able to help, so do a search. Wow, I knew about the first 4, but not the rest! Just put ’em all in my comp, BEAUTIFUL. @poe thanks for telling me that website, I got the font to work and having been having enjoying trying out the different fonts especially the Mr. Saturn one. I believe the credits font was also used for the credits in Super Mario World. I love these fonts, but they’re a little too small! I want to use them legibly with MSN but still have other people’s text at a reasonable size. Could somebody who knows about these things change the Lumine Hall font so it’s size at 72 is considered 16, and the Giygas font so it’s size at 24 is also 16? Thanks! I’m going to use these for a class project! Nice. You should stick these in the Cool Stuff section, maybe the Mr. Saturn font from Q’s post too for those that want a vector version of the font, even if it’s a little inaccurate. Know if any Mother 2 fonts exist? I’m pretty sure there’s some sort of Japanese Mr. Saturn font out there, not sure how good it is though. Thanks so much for these!! Totally made my night. I think i still have an older Mr. Saturn font on my laptop. I don’t much care for this new one mainly cuz i don’t like how it’s pixilated at larger sizes. for some reason it asks me to either “save” it or just “open” it (and of corse “cancel”). whichever one I pick, it doesn’t let me download it, even though the white text on the blue part of the top of the window says something like “earthbound font download”. It opens up the thing to show me all the files with the fonts, but when I click on one of the fonts, it just opens up notepad or something and displays it but I can’t type anything! can anyone help me with this? Where did that windows 7 background come from? Some of these fonts (Onett, Twoson, Fourside and Earthbound Zero) aren’t playing nicely with Windows 7 and Office 2010 beta. what do i do? 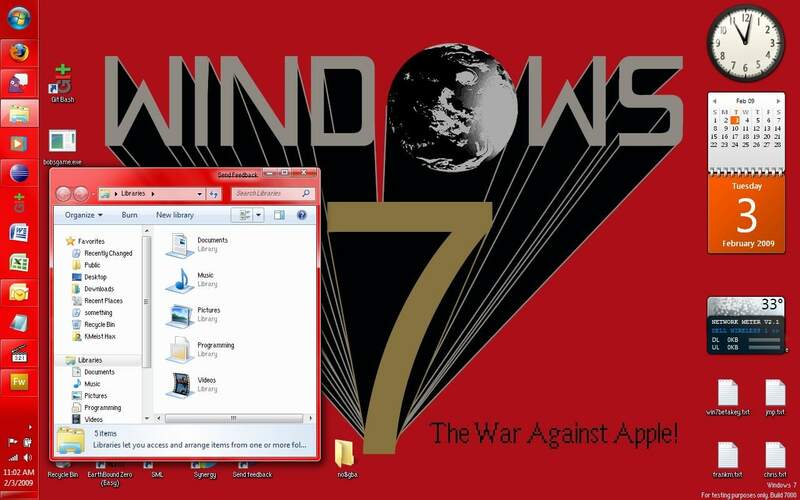 Can I have that windows 7 m2 wallpaper?? Ditto on the fonts Onett, Twoson, Fourside, and Earthbound Zero not working with Windows 7. @ apsolutely no one i had that problem with the mother 3 translation what you do is google zip7 click zip-7 add the exe its easyer put it in thesame folder as the fonts right click fonts hover over 7zip click open the fonts will be open done!!!!!!!!!!! 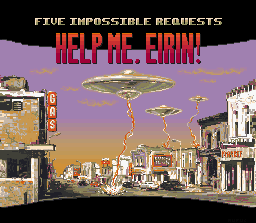 1st: Where did you make the fonts and if you do, make an earthbound title screen font! 2nd can you also make the mother 3 title screen logo? 3rd: Can you put the link to the thing you have to make the fonts! Onett, Twoson, Fourside and Earthbound Zero don’t work on mine, and I have Vista. Same here – I’m running Vista Basic and when I tried to use the Onett font for something, it made Photoshop crash. I have Paint and Paint.NET on Vista Home Prenium. The Onett Twoson Fourside and Earthbound Zero don’t even show up on paint.NET and if I use Paint a bland font appears and if I close the text box with one of those fonts and open text again it makes Paint crash. Also, if you use Japanese in the fonts, it looks like Arial Japanese. I downloaded them, but for some reason, I can’t get rid of them now, and any other programs I downloaded keep crashing because of this. Does anyone know what to do? In the “Apple Kid” font, the dollar sign doesn’t work. …it actually (the dollar sign) does work, but it’s not complete. Could you make this as an iPhone or iPod touch font or language? Any of the Title screens would be awesome! I wonder, what about the Hiragana, Katakana and the Roman alphabet in the MOTHER 2 version? I wonder, what about the Hiragana, Katakana and the Roman alphabet in MOTHER 2? but i realized it was a picture file. How do I remove the Onett, Twoson, Fourside, and Earthbound Zero fonts!? I need them off! They’re invisible! Yeah, I am also having a problem with the outline fonts. They are installed and not functional and they show up in menus but they’re not in the font folder, so I can’t delete the, HRRRRG. Same with others on the site, I’m having problem with Onett, Twoson, Fourside and EB0. Anyone know how to fix this? This is a much better version than the one used in the post icon. Where can I get that desktop background? It’s awesome! The font problem we’ve all been having is fixed by dragging the fonts into the fonts folder, and the font size has to be size 23 or higher. the Onett, Twoson, and Fourside fonts don’t work. EarthboundZero, Onett, Fourside, and Twoson don’t work for me. It almost looks like a typewriter. But, good work! i especially like Saturn Boing and Apple Kid. Luminine Hall looks amazing! -I only installed the Apple Kid, Mr. Saturn, Curtain Call, and Lumine Hall fonts so far. When I tried using the awesome-looking Lumine Hall font for the first time, it crashed Microsoft Word. Since then it’s been working OK, except that if you choose the font, even if you don’t type anything with it, you end up with a piece of the font that looks really ugly on smaller sizes and is annoying to get off. -Is there any way to rename the fonts? International Font of Mystery is pretty long and I had a better name in mind for it. I’m having the same problems with Earthbound Zero, Onett, Fourside, and Twoson. Does anyone know how to delete these fonts when they don’t show up in C:\Windows\Fonts? Earthbound Zero, Onett, Fourside, and Twoson fonts show up blank when I open them. 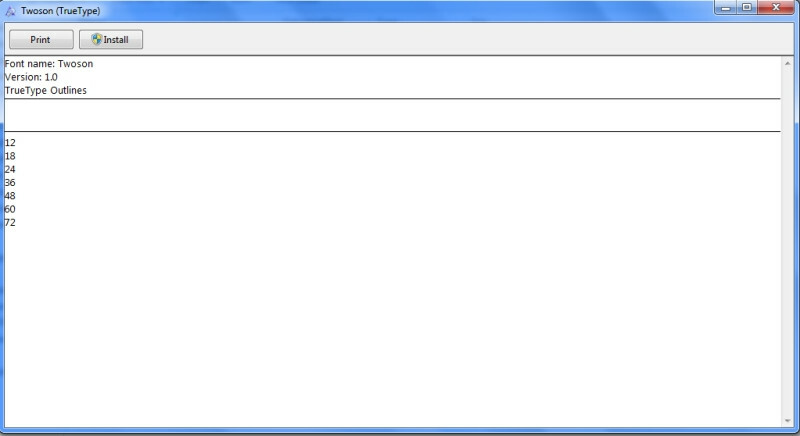 Also they don’t show up in the Fonts folder on Windows 7. Any suggestions? Where is that windows wallpaper? Oh man, I was hoping that Apple Kid would have the “battle font”, you know, alpha/beta/gamma/omega. Mostly because I have this weird fascination with the way gamma looks in EB and I WANT IT. So I guess I’ll be using that. I don’t see much of a difference between the two simply typing in Word and whatnot. It also has THE DOT YESSS. They aren’t showing up in my fonts… O.o But I installed them and i cant remove ’em! Help! Found the way to remove them, the only way to remove them is a System Restore, if it’s not too late.